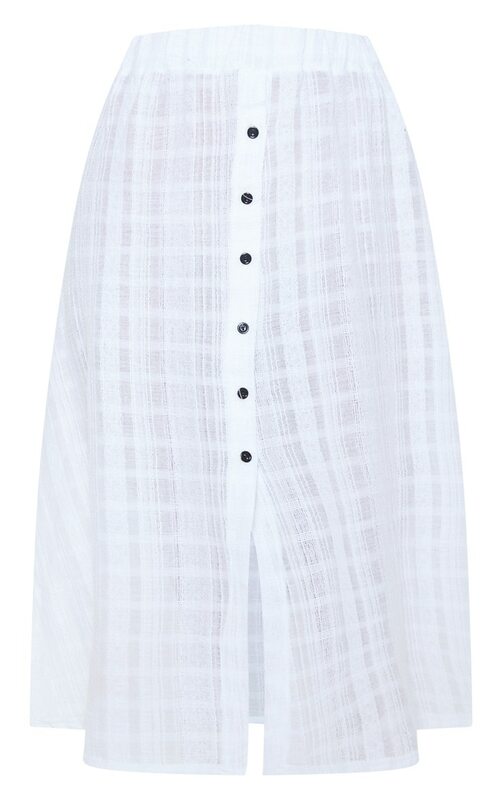 Your holiday is finally complete with this stunning beach skirt. Featuring a white cotton fabric with a button up front and floaty fit, what's not to love? Team with the matching crop top and chunky sandals for a look we're loving.